“I swear, if this guy doesn’t quit it, I’m going to shove this camera in his throat,” Tom hissed at me. I suppressed my laugh and concentrated on the fish going by. “There he goes again! It was just a fish the size of my palm. And not a pretty one either!” Tom fumed. “I’m not kidding, he just cooed over a stick,” Tom whispered. I loved the submarine because I don’t scuba dive. I’m paranoid I’ll still drown and my hair hates ocean water anyway. So it was a nice chance to see the sea life. Without having to get my hair wet. I pulled a Zak Bagans and took another photo at the exact same spot to make sure it wasn’t dust and the orb wasn’t there. The tour was interesting though. The guide took us to different spots around Oahu and told us spooky tales. I’m sure some was for dramatic effect. Thankfully the plane calmed down and everything was peachy again. I miss Hawaii. In a couple of years Tom and I want to go back. Maybe we’ll explore the other islands. The kids were fabulous for Tom’s Mom while we were gone. Did we miss them? Yes. But I think it’s important for a couple to get time away from the kids. Would we go on vacation without the kids again? It sounds like you had a wonderful trip! I'd love to see Hawaii someday. Sounds like you guys had an awesome trip to Hawaii! 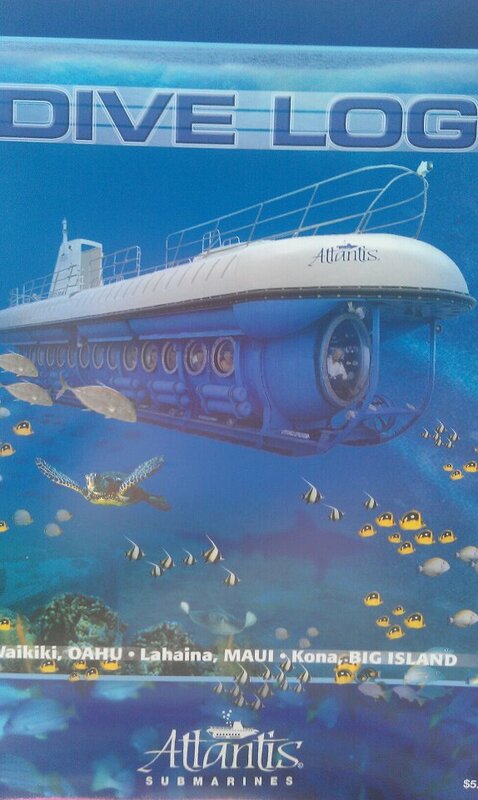 The submarine ride looks so fun, cute fish, and awesome that you got to see a sunken ship! Too funny about the "oooo" guy! That's crazy that you might have seen a ghost! Oh gosh, that freaks the heck out of me. I thought I saw another orb outside your blue circle, but upon closer inspection, it turned out to be a smudge on my computer screen. Dang! I'm glad you had a great time in Hawaii! Very cool - I love sea life pictures! Ditto to what kkhphotos said. What a cool adventure, and yes it's a really good idea to get away as a couple now and then. That sub tour looks awesome! I wanna do that next time I go to Hawaii!! So necessary! So glad you got to go and enjoy yourselves. 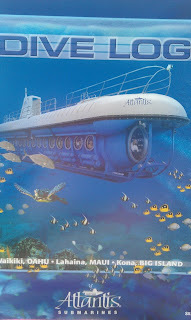 Submarine trips like that (you know, because I frequently have them) make you wish you were rich and could just rent the whole thing for yourselves. But then, you couldn't write about the oooh and aaah man! Man, I don't mind these posts on Hawaii at all! I miss Hawaii so much! I went on the submarine ride years ago, as a teenager. I'll admit it scared the crap out of me and I didn't go again the next time I went to Hawaii. LOVE your photos though.